Our flooring design process was created to make your whole experience with us easy and worry free. From inspiration to installation we’re focused on service. Our goal is to exceed our customers’ expectations by providing creative design assistance, unique quality flooring and exceptional customer service. Our product lines are consistently updated so you can see the latest trends. We have large samples and over 40 display floors installed. Floors of Distinction is more than just a flooring specialty store. We’re your start to finish project experts. Christina joined the FOD team in 2005 and became an owner in 2015. Flooring has always been her favorite element of Interior Design because it is the foundation of the entire space. Her goal is putting clients at ease by showing them her portfolio of finished spaces and helping them discover their own style identity. Her favorite part of the job is celebrating the amazing transformations! During the summer you can find Christina on the tennis courts or working in her yard. In the winter she is curled up with a book, practicing her yoga, and rearranging her furniture to stave off cabin fever. Christina is the mother of two grown children, having lived through the rigorous schedules of hockey, tennis, and various high school activities. 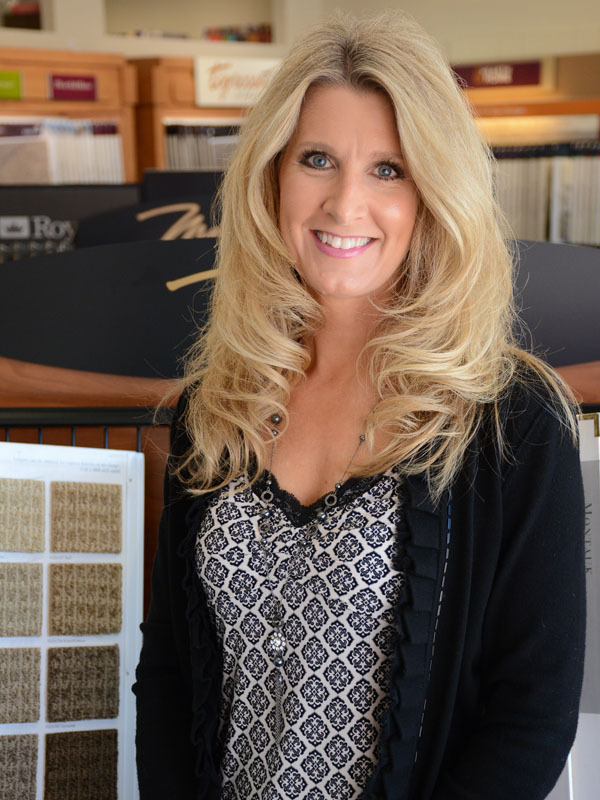 Colleen joined the FOD Team in 2010 having spent 30 years in the design & flooring industry. She believes your home should be an extension of one’s personality and flooring should meet the needs of today’s active lifestyles. 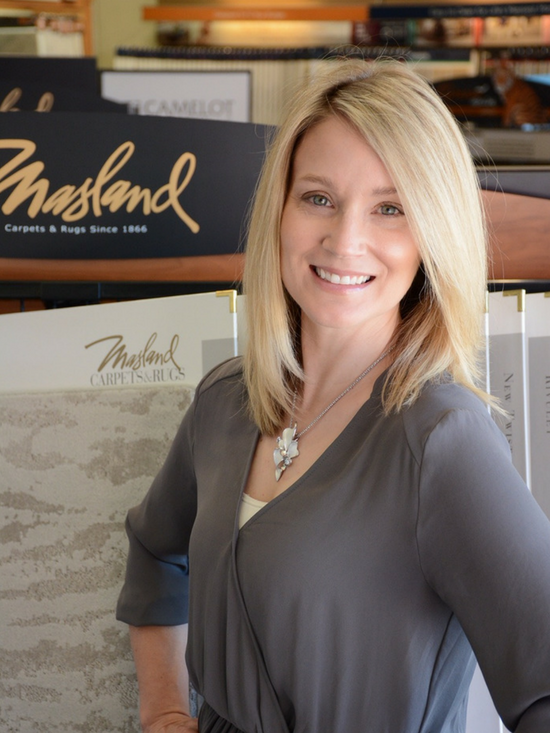 Guiding you through the flooring design process, providing options, and helping create your dream space are all things she looks forward to helping with. Every project brings its own set of parameters making each one new and exciting. Her own style is ever evolving, always looking for just the right piece to update her own space. There is always time for a quick stop at an estate sale or you may bump into her in Buffalo checking out the latest occasional sale. You never know what treasure you might find! A lover of all things chocolate, recipes are often tested on her coworkers who, amazingly, like chocolate too! When not at FOD, she enjoys spending time with friends and family catching up on life’s events over a good glass of wine. 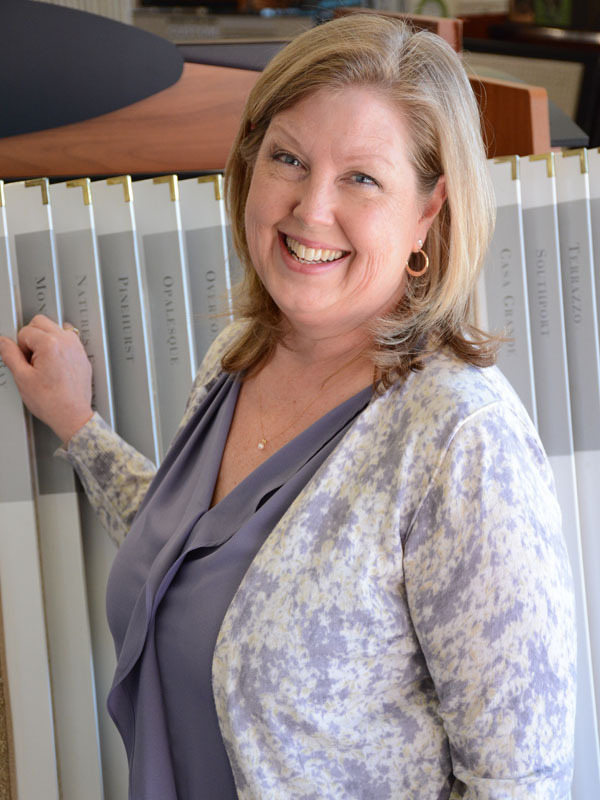 Heather enjoys her role as an interior designer / sales enthusiast and is motivated by the challenge to create aesthetically pleasing and functional concepts for each client. Her goal is to make your experience fun and comfortable while also encouraging creativity. 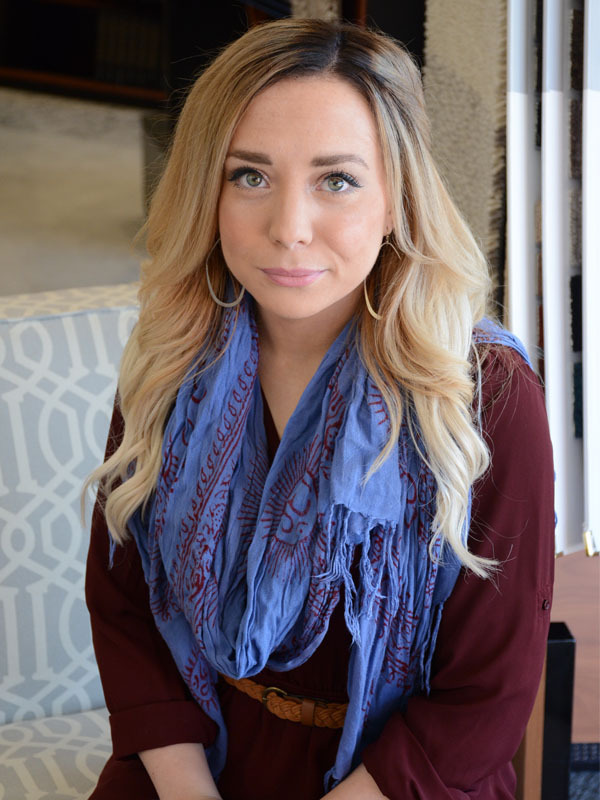 She hopes to build trust and confidence by offering exciting options and believes that educating clients about different products as well as the installation process helps create desired expectations. Heather gravitates towards outdoor activities as invigorating as white water rafting, parasailing and horseback riding but also enjoys the tranquil balance of yoga and playing the piano / violin. She has an exceptionally strong love of animals and is delighted when clients have their dogs accompany them into the showroom. She treasures quality time with her family and friends and enjoys nurturing those relationships. Billie is our “new kid on the block.” She joined our design team in 2017. She has a passion for “all things pretty” which is what lead her to become a designer. Billie has an inherent talent for walking into a home and conceptualizing a space’s potential. She can confidently help guide you in all your project’s needs and isn’t shy about making suggestions. Billie shares her life with her fiance Alexander, sweet son Brantley, and energetic pups Eros and Nyx. She considers herself a high energy person and is always on the go. Wise beyond her years, Billie is an “old soul”, a lover of animals, a caffeine addict, and a gym rat, all rolled into one bubbly personality! Darin is a highly motivated Sales associate and Estimator at FOD. Darin has been in sales for over 8 years and has been estimating flooring since 2015 and joined our team at the beginning of 2017. 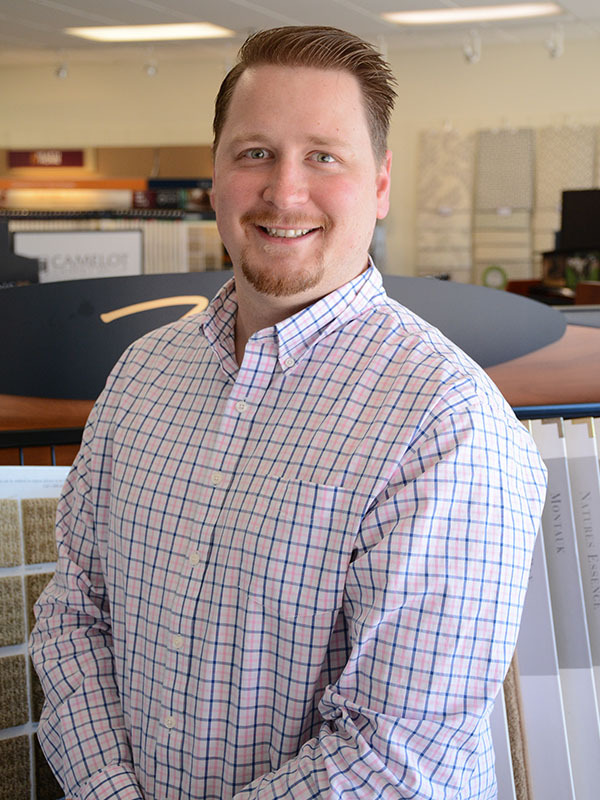 His main goal at FOD is to help his customers make the best decisions for their projects based on their needs and answer all of their questions so they feel comfortable with the whole flooring design process of selecting new flooring. Darin comes from a military background where he served in the United States Navy and worked on the aircraft carrier the U.S.S. Harry S Truman. Along with traveling the world while in the Navy, Darin has many hobbies such as golf, concerts, movies, going to the cabin and being with family. He believes that helping others is his calling in life. We believe that home is one of the most important places on Earth. With this value at the heart of what we do, you can trust us to match quality materials with the best installers to make sure the end result is something you are proud of. We stay on trend and bring you the latest flooring fashions in our Maple Grove showroom. You can walk on our display floors and borrow individual samples (large enough to see color, texture, and how light or dark it appears in your light). Our product assortment is both distinct and broad so that we can accommodate your design wishes and budget challenges. Flooring is the foundation for all interior design elements, which is why it’s important for our team to help you make the right choice. We promise to understand your goals, listen to your inspirations, and funnel an abundance of choices into a curated plan just for you. Our designers and estimators visit your home to offer design and installation recommendations based on your wants, needs, and overall budget. Once a selection is made our experienced installers assist in the most important part of every renovation; executing a successful installation. Your satisfaction is their priority; they stay on schedule and pay attention to the details making sure your vision comes to life! I can’t say enough great things about Floors of Distinction- every part of our project was a WOW! Karen was such a big help with her interior design background. She made the selection process so easy by learning what we wanted and brought samples to our home multiple times until we got it right. Bruce was so helpful in putting all of the pieces together so everything worked like clock work. Richard did the installation and was nothing short of amazing! He worked tirelessly and paid attention to every detail even when it wasn’t part of his job. I have never seen a man work so hard and with such a great can do attitude. We did acacia wood floors on our main level and carpeted 2nd floor. Beautiful workmanship! Everything was done on time and budget. We are so pleased with everything – exceeded our expectations!